I've been MIA on the blog because I've sprained my foot and it has been a super painful week. 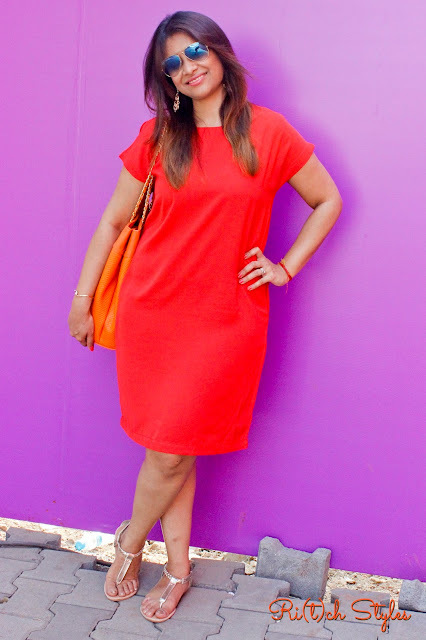 While I have been trying to keep up with my commitments, dressing down than dressing up has been my funda for the week because 1 - I can't wear heels and 2 - without heels half my outfits do not land up looking great enough that I can think of wearing them, and so it has been all about simple, fuss-free and comfortable dressing this week. Home is where the heart is! It's that one place in the whole wide world which is your own space shared with the people you love or in a lot cases just you living alone, characterized by your own personal touches and memories thus making it home. Since I live in a rented house, I don't spend a lot in getting interiors done, but I spend on key pieces that will fit into any house that I move into, as they are a part of a larger setup that fit in together. Some of these key pieces like my furniture have now become over 5 years old and are in need of a revamp, as I have new ideas to redecorate my place with maximum spends being budgeted to revamp these pieces. This involves checking out decor stores across the city but the process has been super slow because work keeps me super busy. So event invites to decor stores are a total boon right now. I've been to Hill road in Bandra multiple times for street shopping and I've passed the Asian Paints Colour Store as many number of times, but I've to confess that I'd never gone inside until last week when I was invited for the blogger meet to experience the Asian Paints Woodtech Studio. 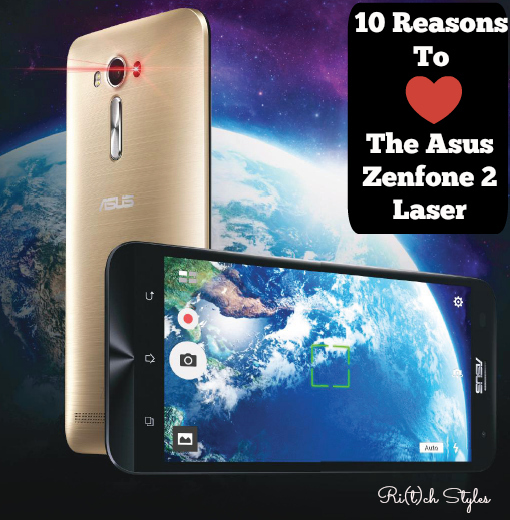 10 reasons to love the Asus Zenfone 2 Laser! 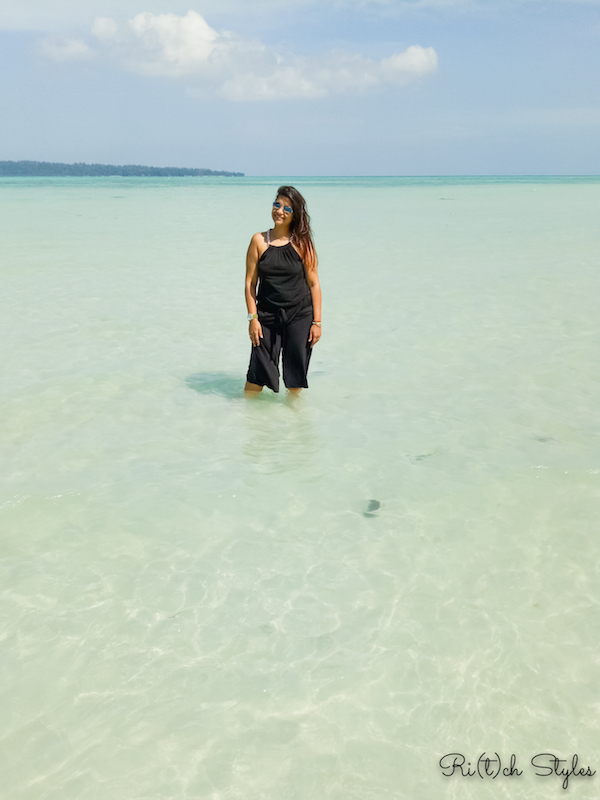 By now most of you know how much I love the Zenfone 2 Laser because of its photography and video capabilities that you saw in my Ganpatipule travel post, but there is a lot more to the phone than just that. Today I am going to tell you the top 10 things about the Zenfone 2 Laser that I love which is why it has now become my work phone and as you all know, being a person with a digital presence on so many mediums, I am literally working 24/7/365! 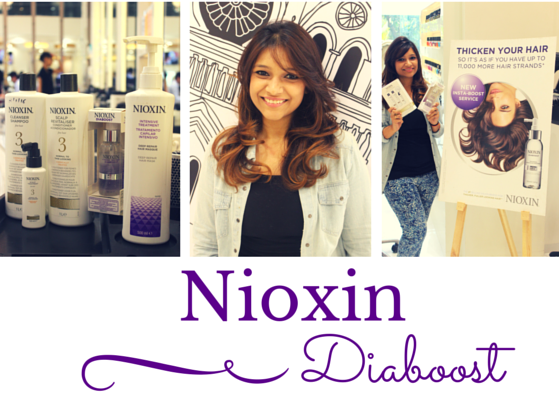 Nioxin Diaboost - the perfect hair boosting formula! Nearly 50% percent of the women in this world suffer from hair thinning. Some people(like me) are born with fine hair which looks visibly thin through life, and some people over time lose hair which makes their hair look thin. While most people start losing hair once they start aging, one is never too young to start losing hair and if you're genetically predisposed, it can start as early as in your teens. It could also be due to health issues and hormonal changes and so if you are noticing a visible change, it is always best to go to the doctor and get yourself checked. A lot of people get really worried when they hair thinning starts and start drug-based regrowth treatments or go for hair camouflaging treatments like hair weaving to correct the issue. What they don't realize is that they could be susceptible to a lot of side effects which could only make life more miserable. What they need to do is think of holistic ways to treat the condition.